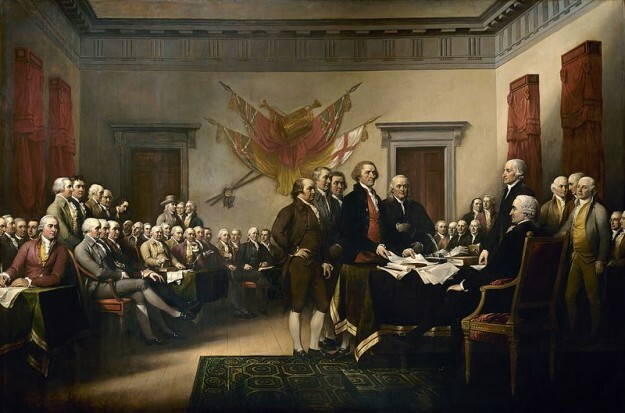 In July of 1776 the United States Continental Congress was putting the finishing touches on a piece of paper that would forever change the course of history for what started out as an untamed land full of wild people and even wilder animals. America was born and promptly told Great Britain what it could do with its tea and crumpets. Things like equality of man and the separation of the thirteen colonies into states and away from Britain were outlined. The liberty bell rang four days later, on July 8th, for the first public reading of the Declaration of Independence. The next day an angry mob topples a statue of George III of Great Britain in New York. A ripple had been sent through the history of the world, impacting every country it came into contact with. By the end of 1776 the Declaration had made it around the world with some countries adopting parts of it as their own. Enjoy your independence America and don’t blow your fingers off with fireworks. Do you plan on photographing the fireworks tonight? Be sure to submit to the This is America Challenge (what could be more American than celebrating her birth) or the Photo Story Contest using the Submit an Article tab under the Articles tab in the top menu.